When it comes to radio controlled toys, one never gets old! 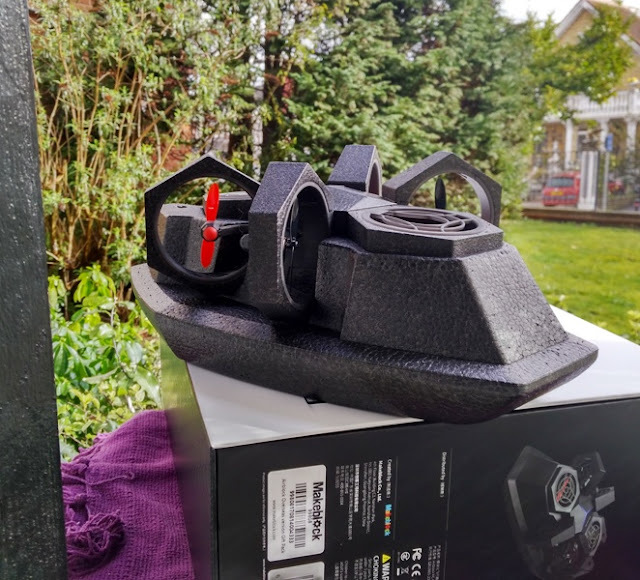 While the mbot Robot, Codey Rocky and Airblock are made for children, the kid in you won't be able to resist having a go! 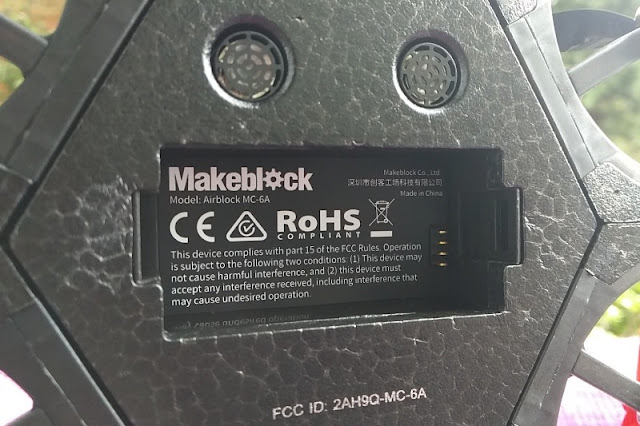 For one, the Makeblock Airblock can be easily whizzed into action via your smartphone without requiring a hand-held radio transmitter to operate. 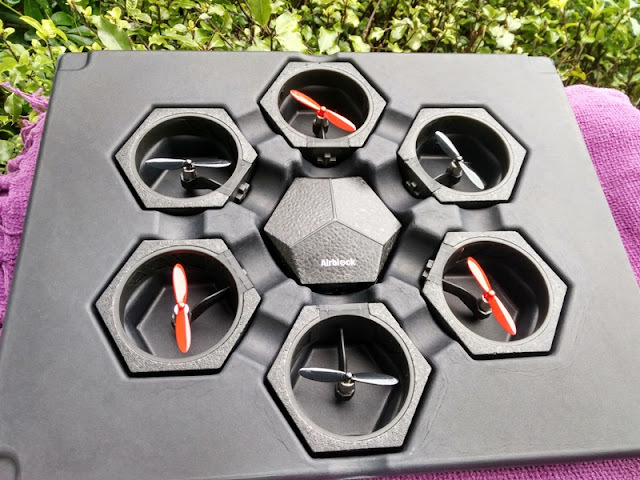 Airblock also has a magnetic modular design that uses magnetic connectors to snap together to form a flying hexacopter drone and hovercraft that you can drive on land and water. 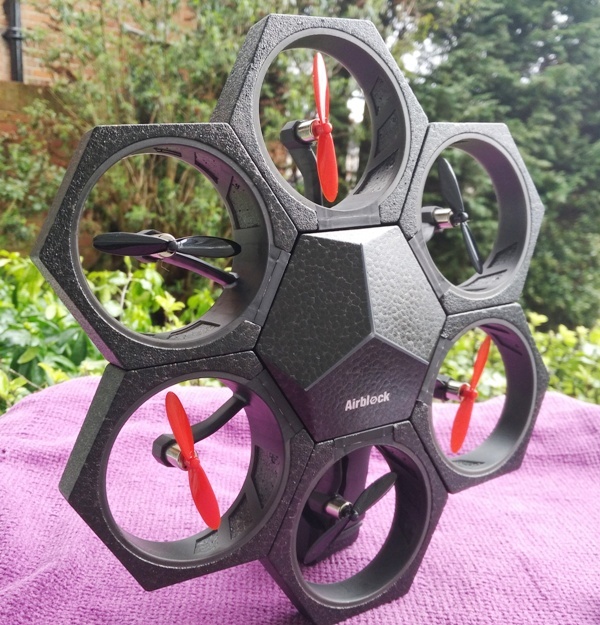 Airblock consists of a small hexagon control modules that let you create a drone and hovercraft combination that you can remotely control via an app on your phone. 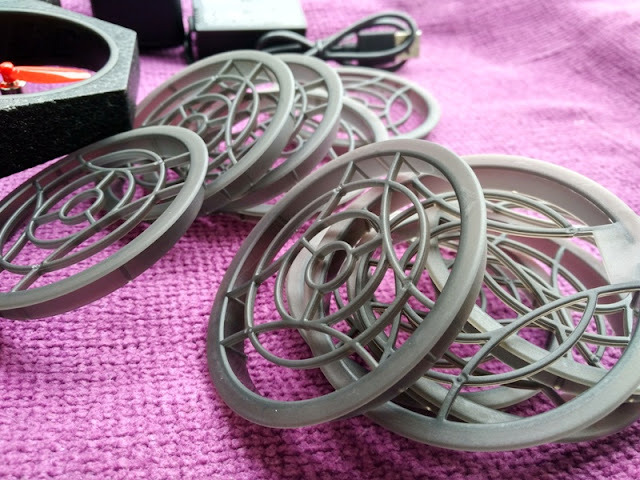 The control module is essentially the brains of Airblock containing a 6-axis gyroscope sensor, ultrasonic sensor and barometer sensor. 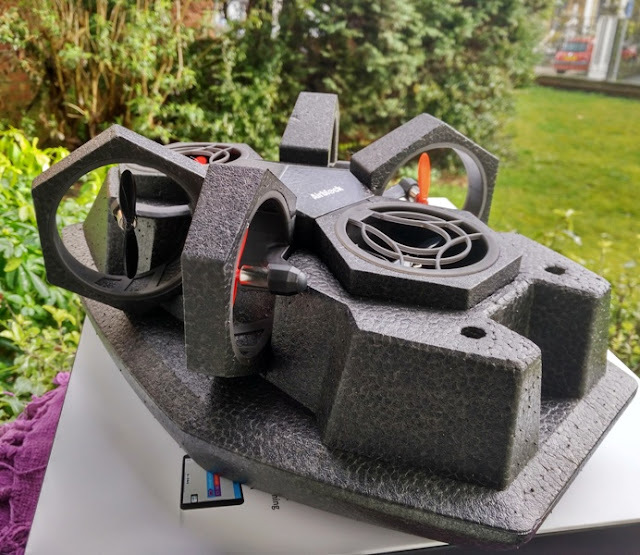 While the hovercraft/drone combination is not new, Airblock applies the combination more effectively so you actually get a maneuverable aircraft and hovercraft that won't sink in water thanks to its moulded foam hull. 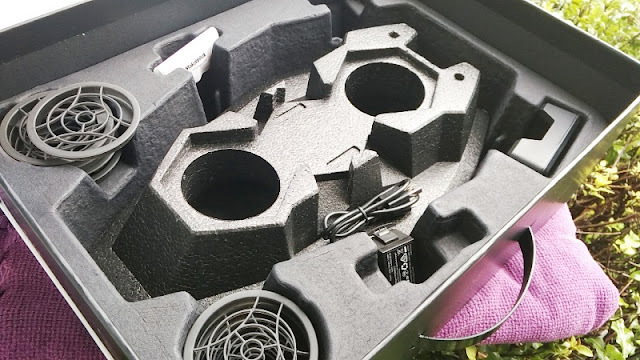 Thanks to its body construction made of expanded polypropylene (EPP), which is molded closed cell foam it makes Airblock lightweight and almost indestructible. 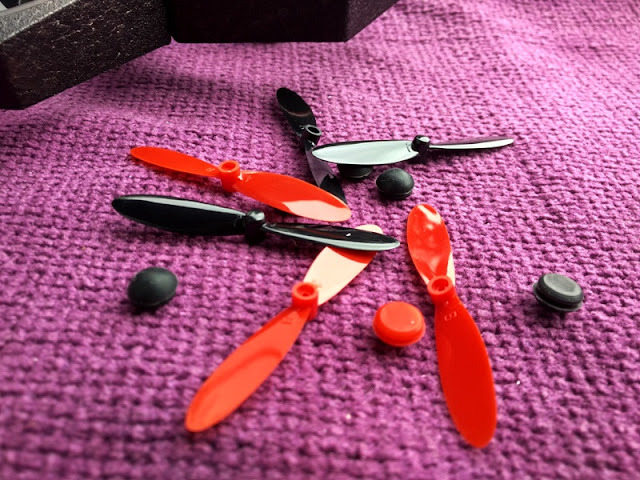 The propellers and battery body are made of polypropylene (PP) thermoplastic. 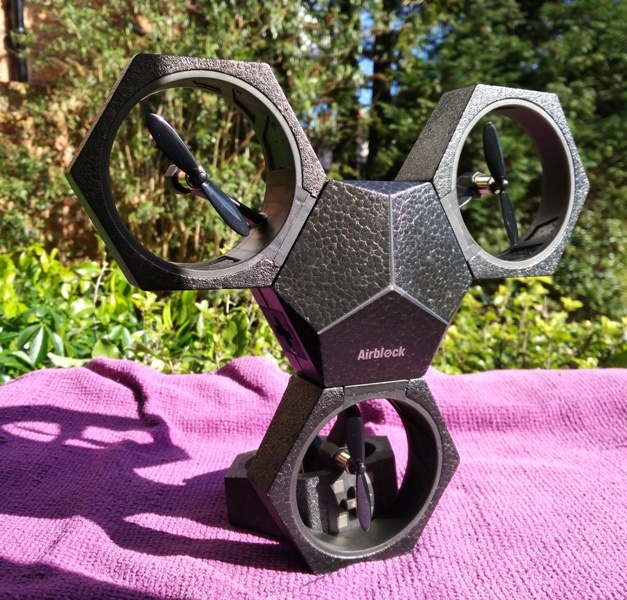 Airblock's lipo battery weighs 41 grams, while Airblock drone hexagon formation weighs 110 grams. 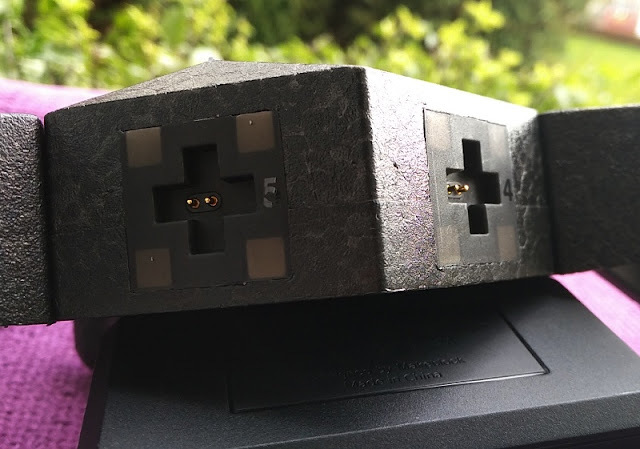 Each hexagon module weighs 12 grams. 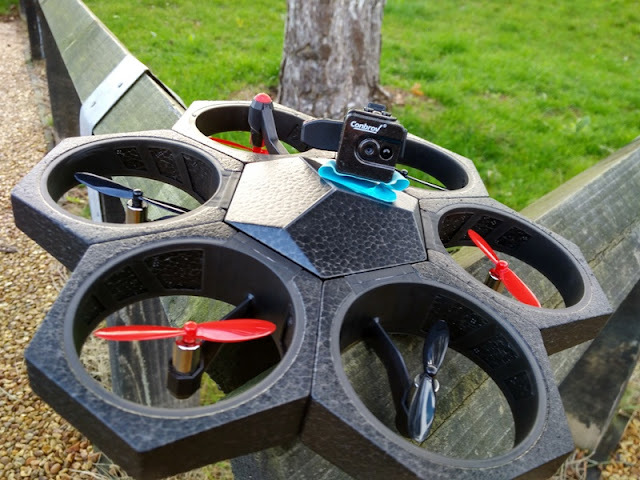 The hovercraft hull measures 33.5cm long, 20.8cm wide, 12.6cm high and weighs 195 grams, while in drone mode, Airblock has a diameter of 23.5cm with a height of 5.4cm and total weight of 150 grams. 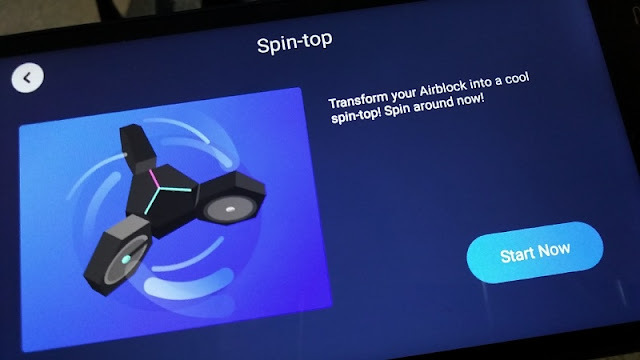 Airblock can fly like a helicopter and like a plane so it can rise, fall, hover, move forward, move backward, move left and move right. 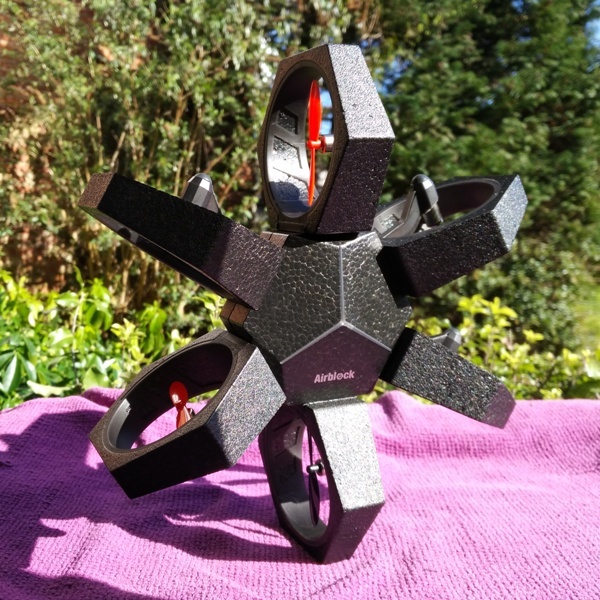 The Airblock drone can also perform cool acrobatic maneuvers that you can even customize yourself. The flight speed is adjustable too. 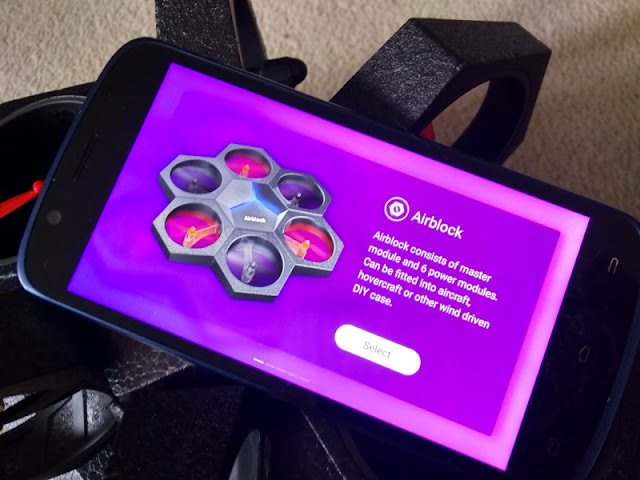 As a hovercraft, Airblock uses a premade foam hovercraft hull and five hexagon rotor modules to generate skirt inflation to lift and thrust at the same time to let you steer, move forward and backward, and carry out cool maneuvers like 360 degree turns. 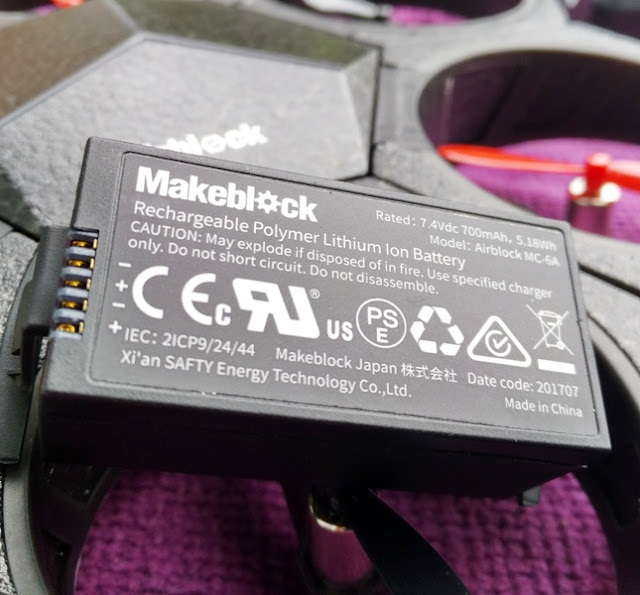 Airblock is powered by a 7.4V 700mA Lithium Polymer rechargeable battery that can power Airblock in the air for a good 6 minutes, which is the average flight time you typically get out of a hexacopter drone with six propellers. 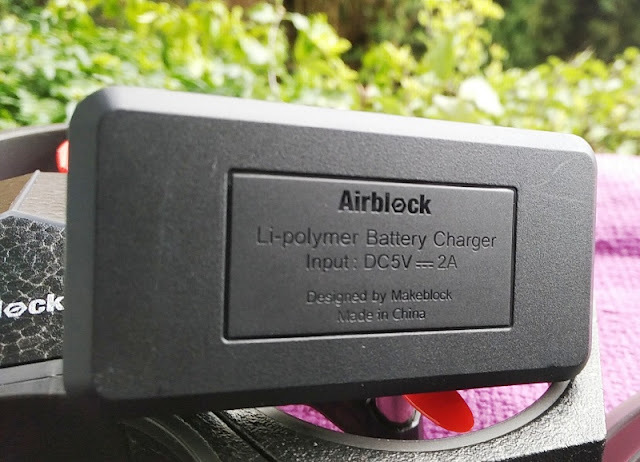 The battery can be fully charged in just 45 minutes when using an 5V/ 2Amp USB charger power adapter (not included). 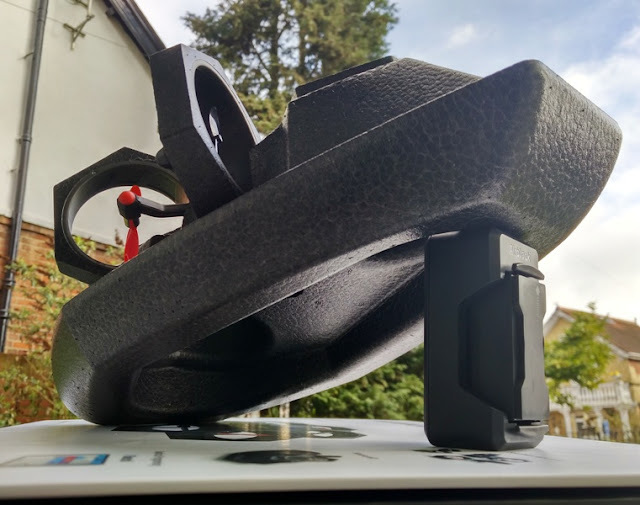 The 5V/ 2A input charging cradle features an led indicator that turns green when full charge is complete. 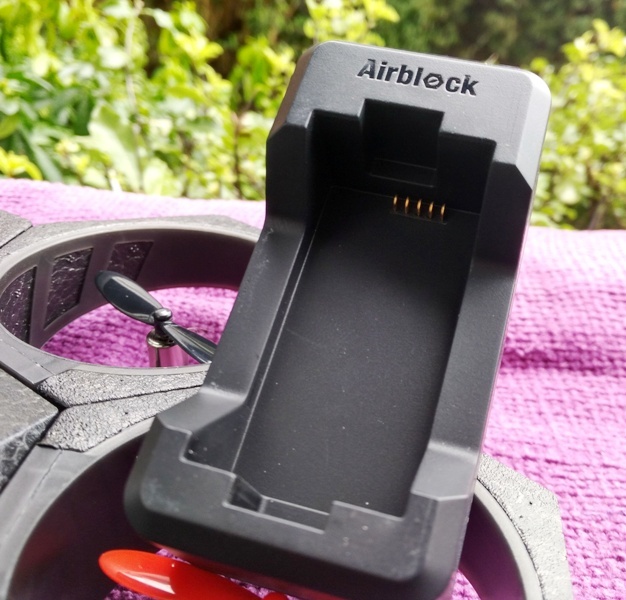 Because Airblock doesn't require screws to assemble, turning Airblock from drone mode to hovercraft mode takes literary seconds. 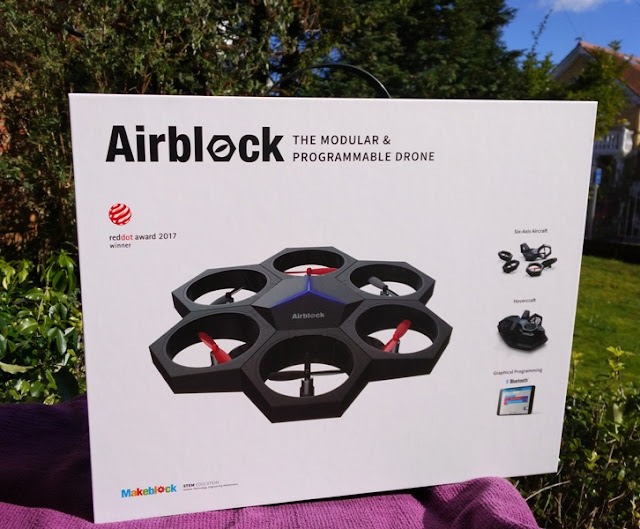 And, when Airblock crashes nothing breaks as Airblock is designed to break apart, while the lightweight foam body and propeller guards protect the propeller blades. 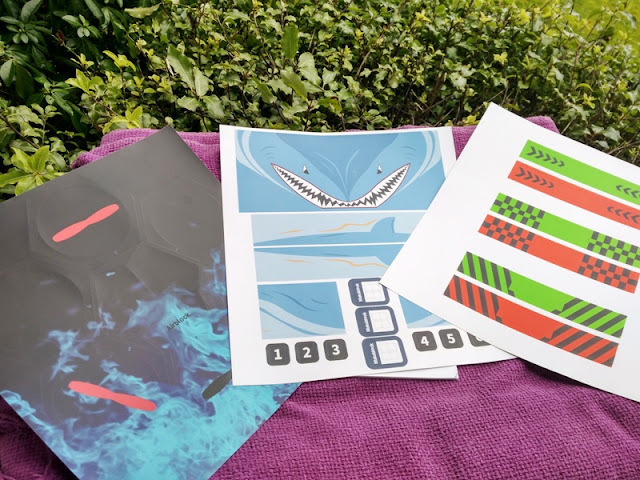 Talking about the propellers, Airblock uses color coordinated propellers, leds (green/red), rubber feet and numbering that helps you to quickly put together the drone. 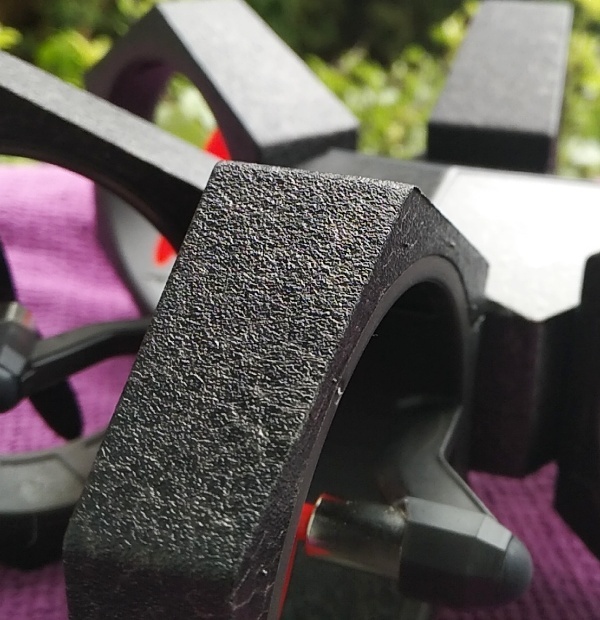 The main Airblock rotor, which has a red rubber and red led, moves counterclockwise, while the other rotors move clockwise and feature green leds. 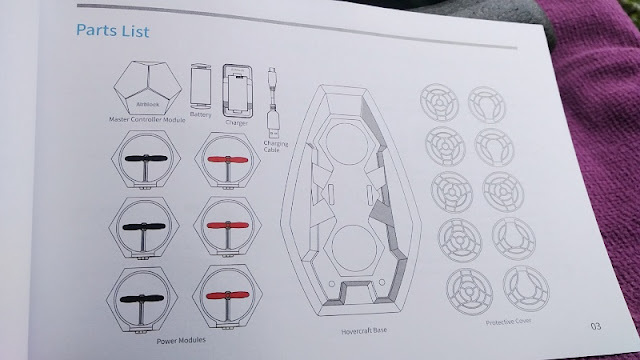 You get a total of six red propellers, six black propellers, five black rubber feet and one red rubber feet. 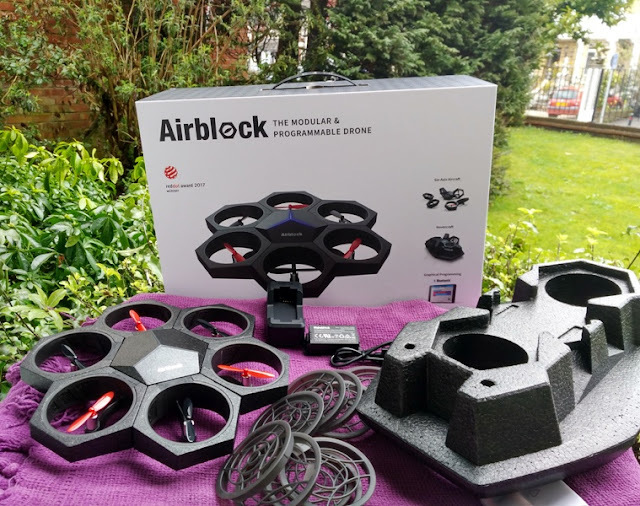 It's pretty cool that Airblock works right out of the box and it's even cooler that Airblock is more than just a smartphone controlled drone and hovercraft. 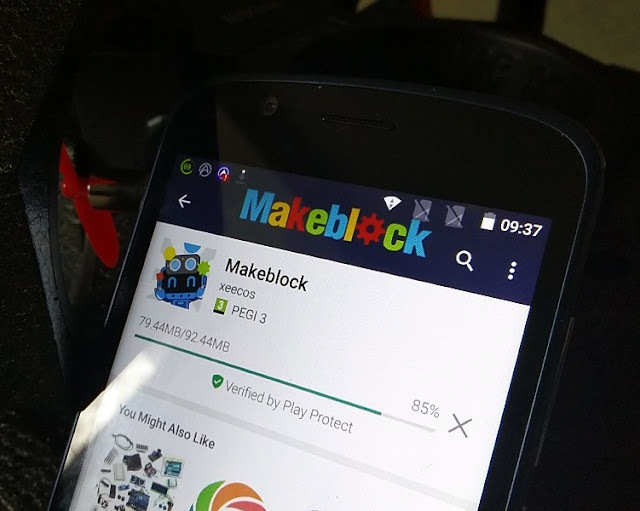 You can modify Airblock into multiple forms and program it, all from the Makeblock App without requiring coding experience. Airblock uses an intuitive graphical programming environment that lets you easily execute a sequence of actions. 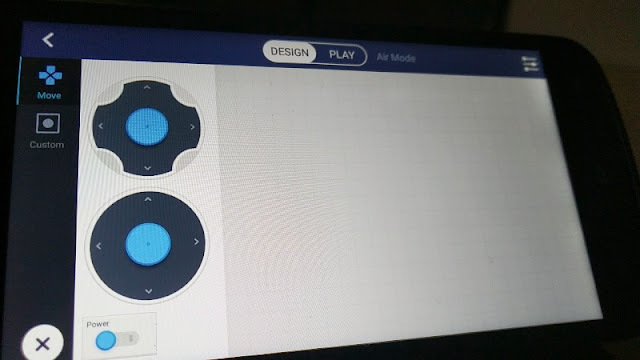 Airblock can be made into different designs and you can program it by dragging and dropping blocks of code using Scratch-like visual programming language to make Airblock behave in a particular way. 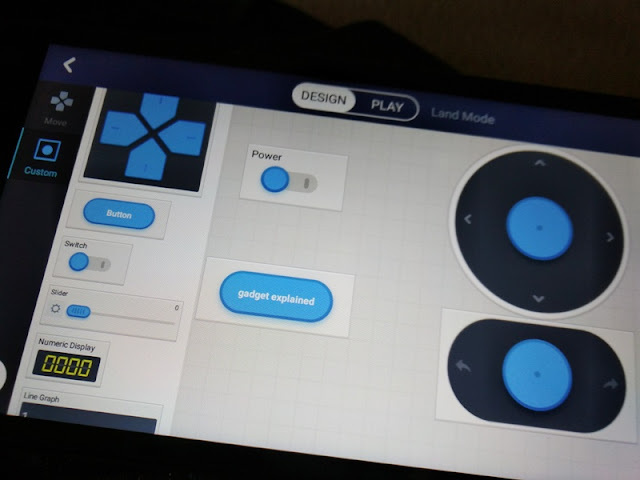 Scratch programming mode is accessed via the app by navigating from Play to "Create"
Once you select Create, click the Add + icon and select any mode you want: Air Mode, Land Mode, Water Mode or Customize. 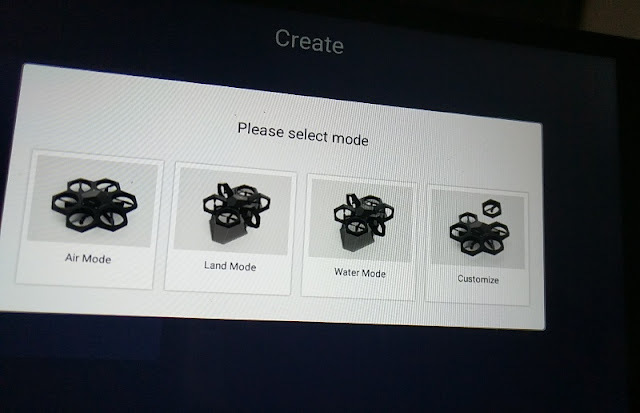 Selecting any mode takes you right into Design view where you get two menu options: Move and Custom. 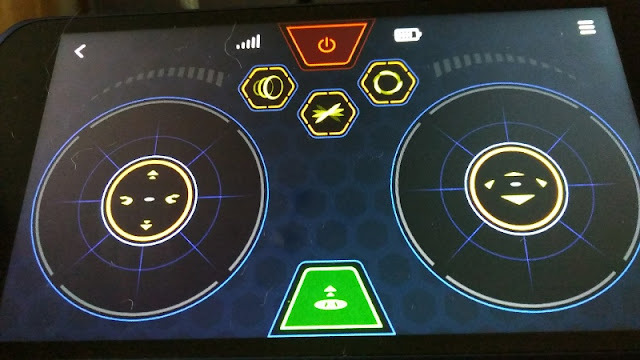 Move contains various controls, including directional palettes and a power switch that you can drag and drop . 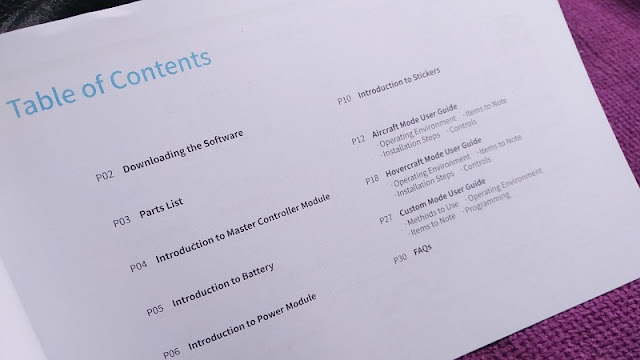 Custom menu contains more controls such as a button and numeric display that you can drag and drop and rename too. 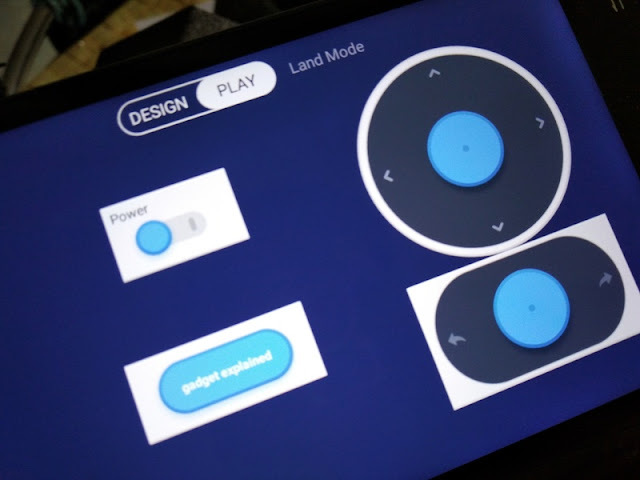 Once you are done designing the control interface, tab Play at the top of the screen (next to Design) to test how your design will look. 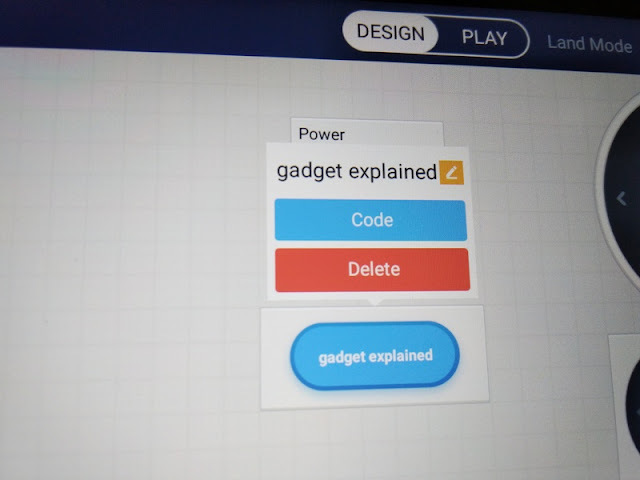 Each of these controls and buttons that you drag and drop into the Design view can be programmed individually by simply tapping on to them to bring up a prompt to select Code, Delete or Edit the name (small orange square). 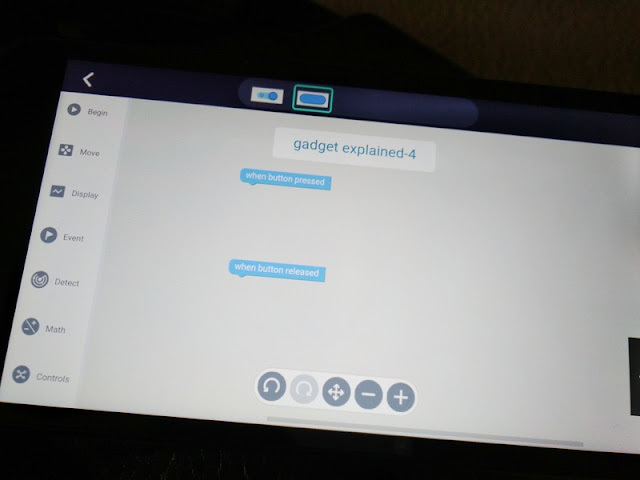 After selecting Code, the app automatically generates two programming blocks inside a Scratch-like programming environment where you can drag and drop blocks of programming code. 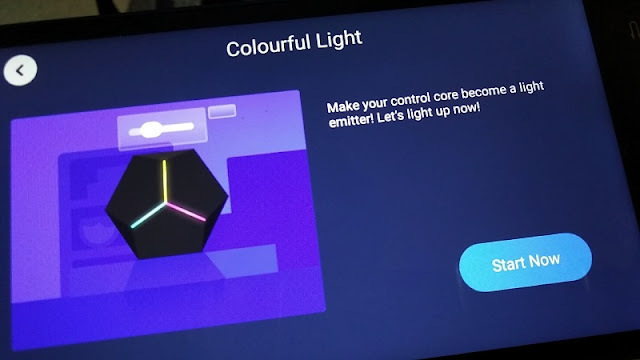 It's here where the fun starts as you get to tinker and experiment with a variety of programming blocks that let you program Airblock anyway you want to. For instance, the Set Suspension Throttle block lets you adjust the amount of power Airblock uses to move in a certain direction. The higher the value (i.e. 50,000) the faster Airblock will move. The limit for the values is 6 digits. Another important programming block is the Wait block which you can add between actions (i.e. 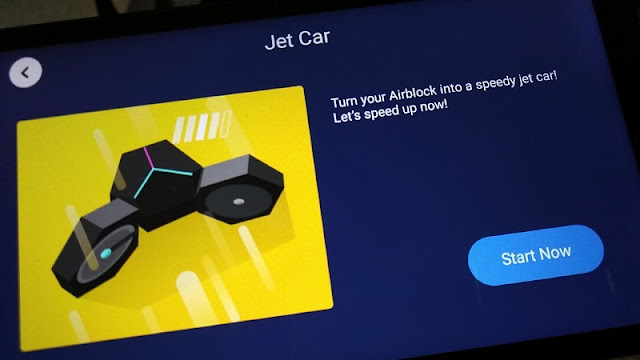 moving forward, backward, etc) if you want Airblock to complete the action and wait a certain amount of time before executing the next action. 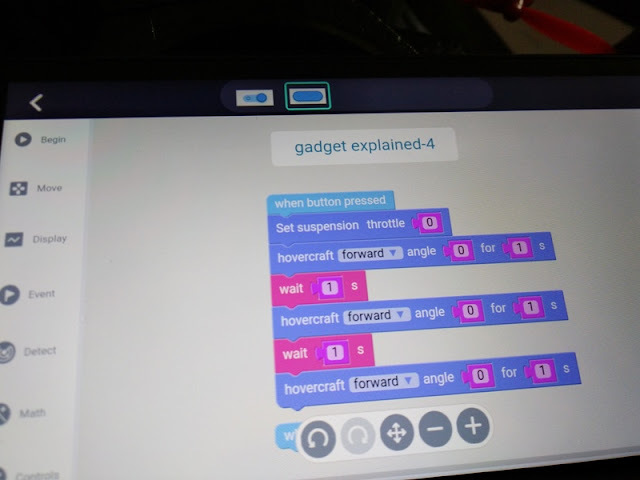 It's worth checking out these Airblock coding examples so you can learn how to construct lines of code to create a program. 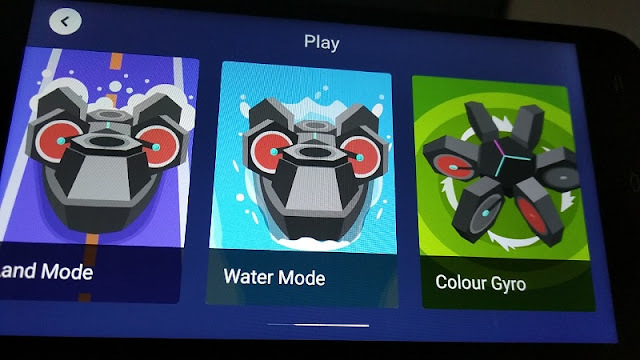 The Makeblock app is super easy to use thanks to colorful menu screens and clear to understands menu prompts. 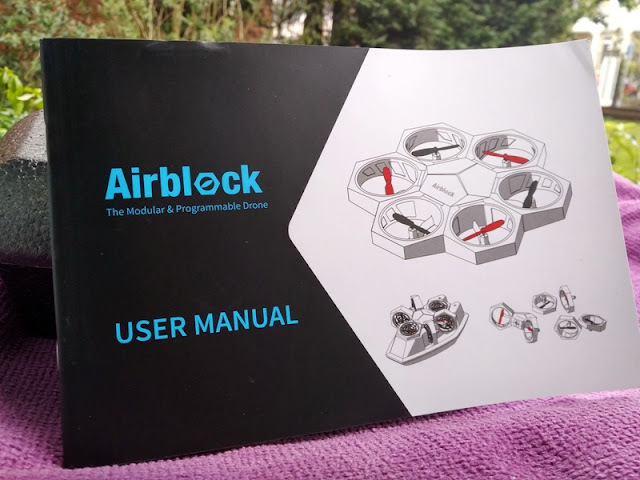 Included with Makeblock Airblock modular programmable drone kit is also stickers and a detailed, clear to understand user manual that helps you understand everything you need to know about Airblock and what you can do with it.